SPANGLER – the Plus of Advancement. In 1999/2000, the Verband (Association) Penzberg south of Lake Starnberg received a new sewage treatment plant. At the end of 2015, a renovation was due after 15 years of operation without problems. SPANGLER Automation updated the existing measurement technology and evaluation units to accord with state of the art technology. 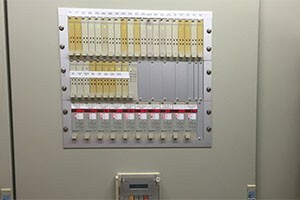 Within only six weeks, the technical rejuvenation of the control cabinets had been planned, developed and implemented. “Together with the operator, we initially selected suitable measurement technology,” says Project Manager Simon Riepl. Considering that there were 35 measuring points distributed across the entire treatment plant, this was a complex process: Ten fill-level measurements and 25 further measurement isolation amplifiers had to be defined and exchanged. 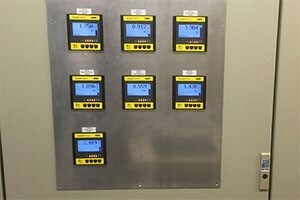 The careful preparation resulted in an extremely short change-over period: Within just five working days, SPANGLER had converted the control cabinets and measuring points during running operation, and commissioned the new measurement technology together with the customer. “We parameterised the evaluation units on-site according to the conditions prevailing there, and familiarised the customer with these,” says Simon. In the course of this, SPANGLER also updated the existing documentation regarding the control technology and aligned the circuit diagrams which did not contain changes made in the past. In future, the customer will benefit from being able to undertake smaller changes himself in the circuit diagram file handed over by SPANGLER. Thanks to this highly modern monitoring technology, the measurements and their analysis are now significantly more precise, and therefore the risk of failure has significantly fallen. And should an evaluation unit be replaced, then the operator can simply load the configuration data via a PC – SPANGLER has also handed over this data in digital form.